Are you giggling? 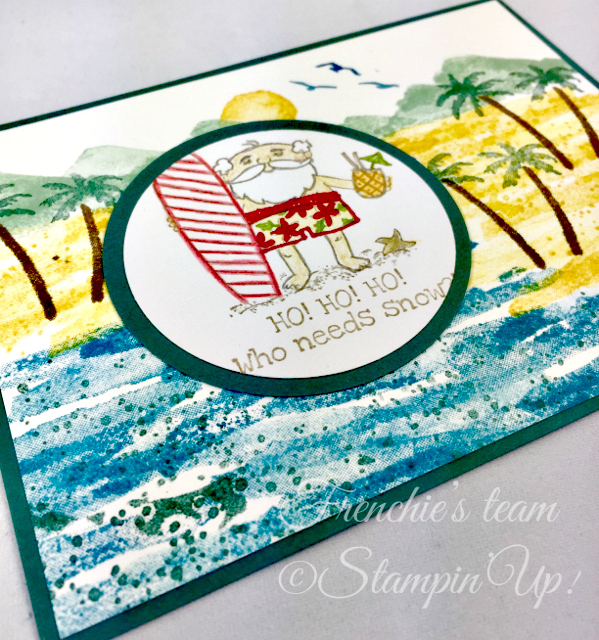 I sure hope so, as I know I did when I saw this fun card created by my teammate Kathleen Wilkins. If you like whimsical then the New So Santa Stamp set in the Holiday Catalog should be right up your alley. 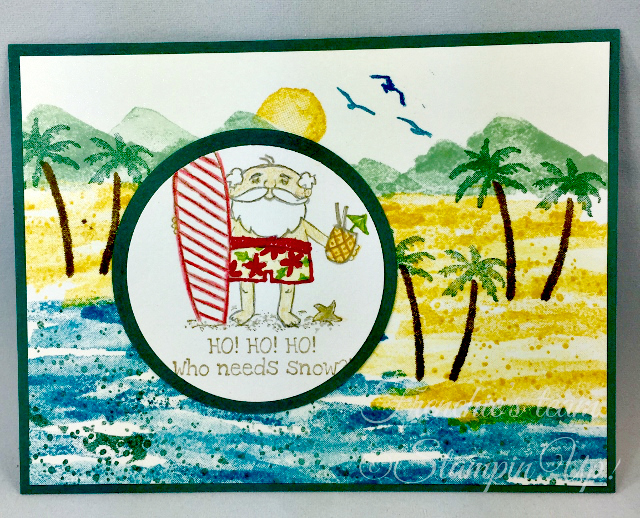 Kathleen paired surfing Santa with the Waterfront Stamp Set and I've got to say she absolutely nailed it. You know how I love to think outside the box and as a traditional Christmas kinda girl this card does just that. Card Base - Tranquil Tide - 8 1/2" x 5 1/2" scored at 4 1/4"
First Layer - Whisper White Thick - 5 1/4" x 4"
Scrap - Tranquil Tide and Whisper White Thick - 2 3/4" x 2 3/4"